1. 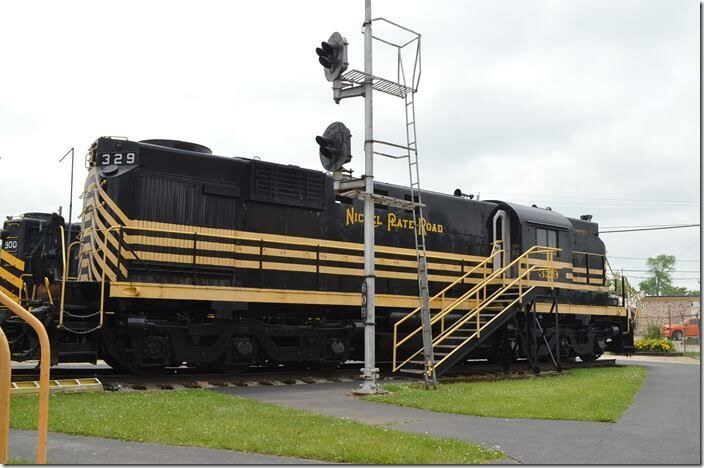 N&W SD9 2349 is ex-NKP. The paint is beautiful. Years ago I shot these units switching at Bellevue. 2. N&W SD9 2349 Bellevue. View 2. 3. N&W SD9 2349 Bellevue. View 3. 4. N&W SD9 2349 Bellevue. View 4. 5. 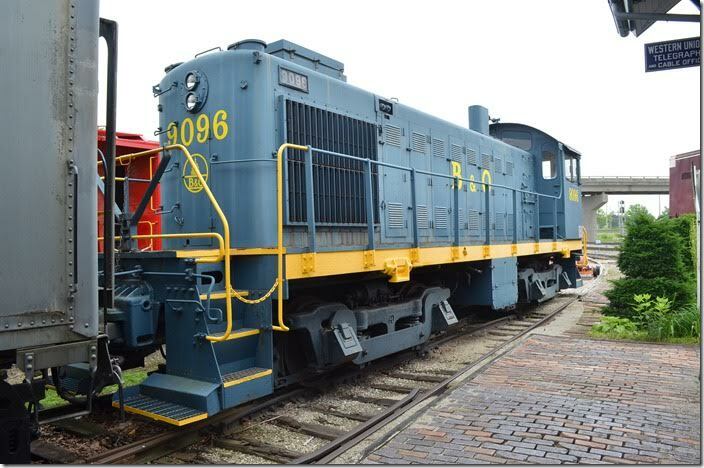 A PRR Atlas car pusher from Pennsy’s Whisky Island ore port in Cleveland. Bellevue. 6. 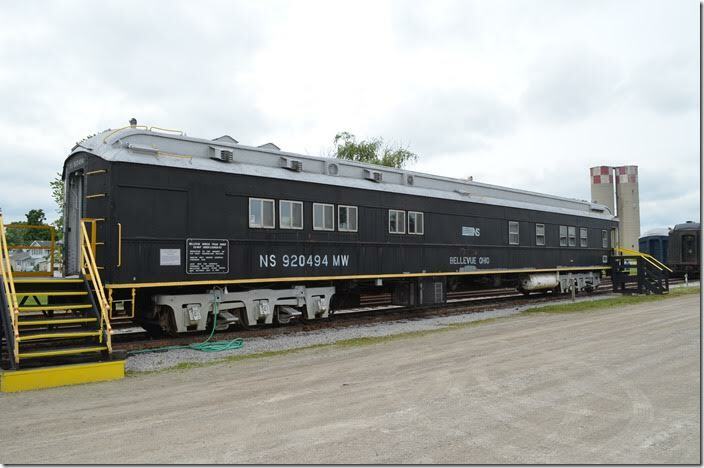 NS wreck train diner 920494 had originally been a NKP diner-lounge. This is where we picked up our bagged lunches. Bellevue. 7. 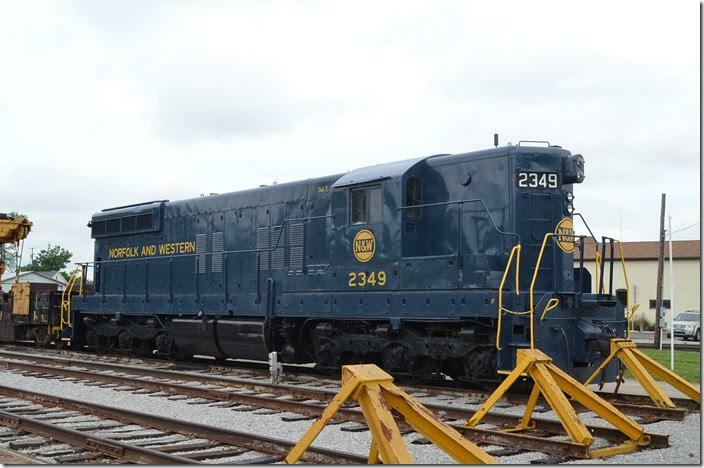 NKP ALCo RSD-12 329 spent her last years at N&W’s Lambert’s Point coal yard. It was built in 1957. Bellevue. 8. 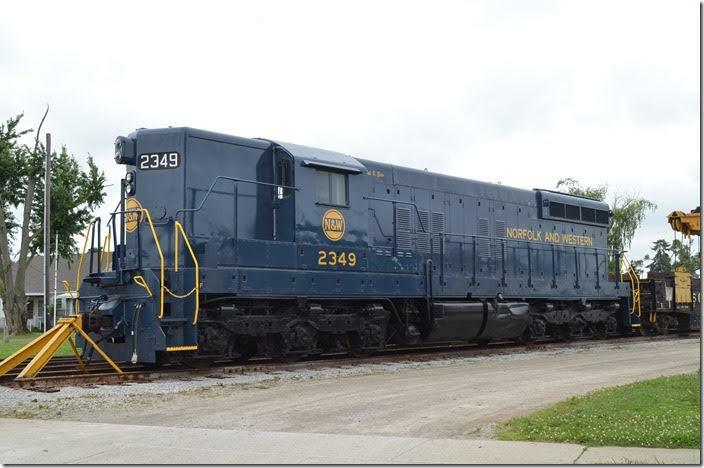 NKP RSD12 329. Bellevue. View 2. 9. 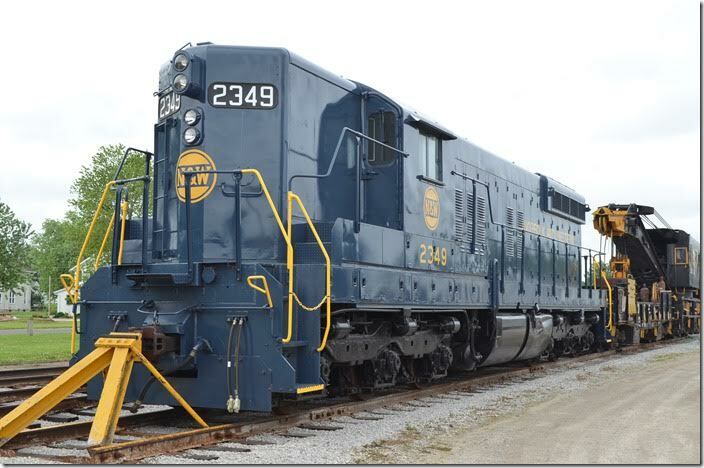 NKP RSD12 329. Bellevue. View 3. 10. 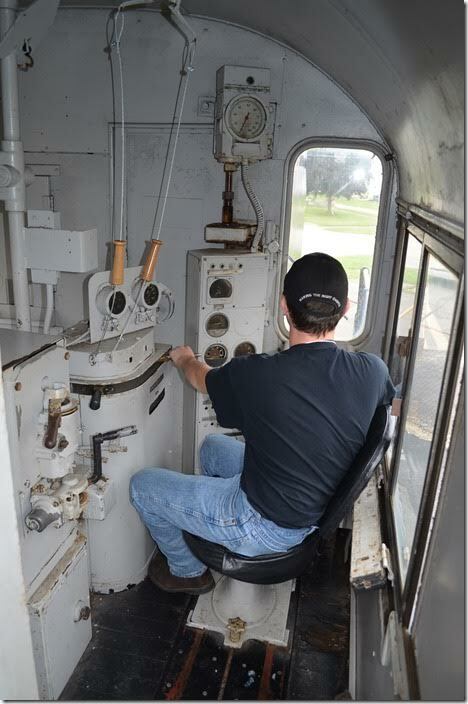 Experiencing a vintage locomotive. Right at home! In NKP 329. 11. NYC style signal. Bellevue. 12. 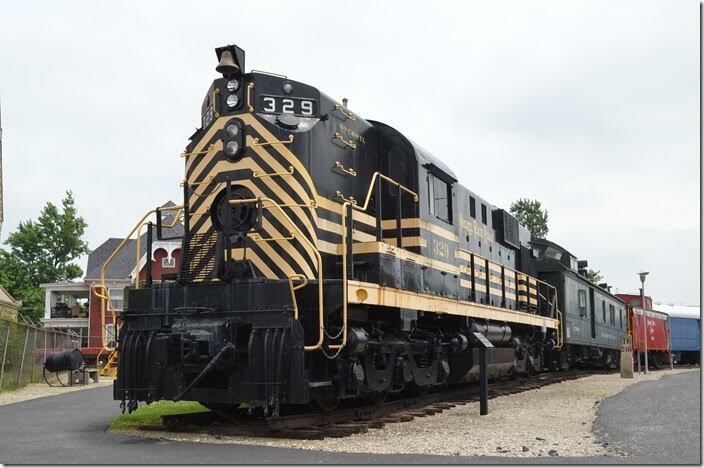 NKP RSD12 329. Bellevue. View 4. 13. 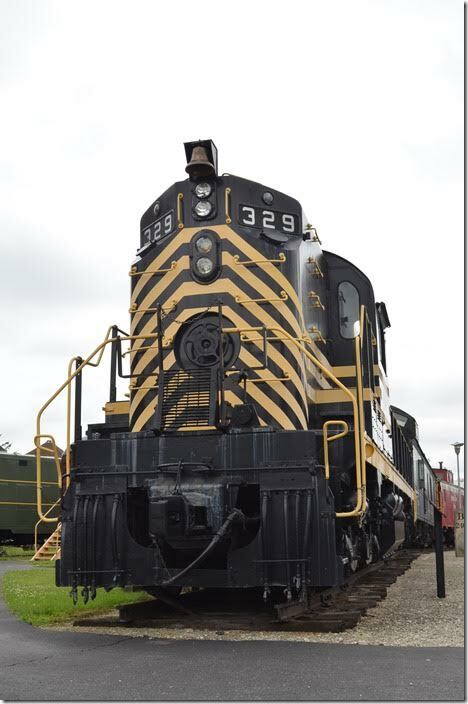 NKP RSD12 329. Bellevue. View 5. 14. 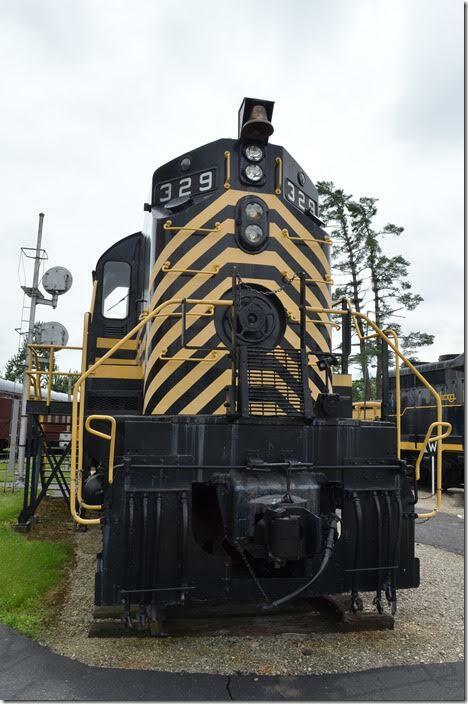 NKP GP30 900 was built in 1962. Bellevue. 15. 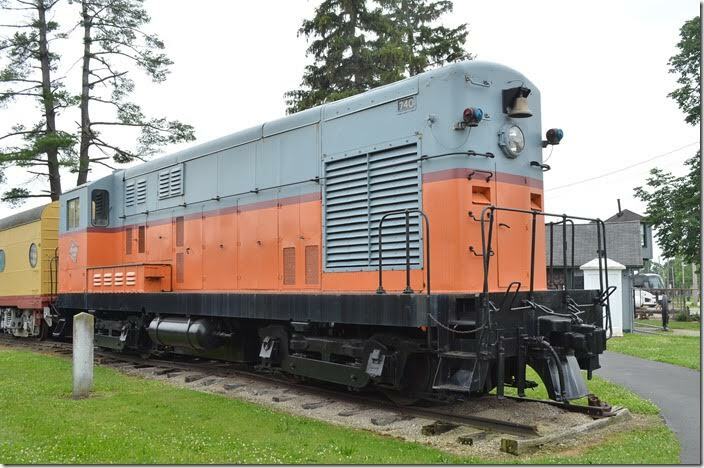 Milwaukee Road H-12-44 switcher 740. Bellevue. 16. 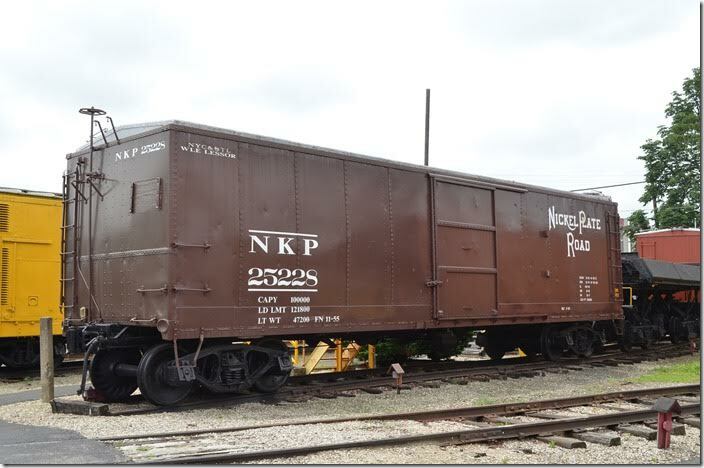 NKP boxcar 25228. Bellevue. 17. 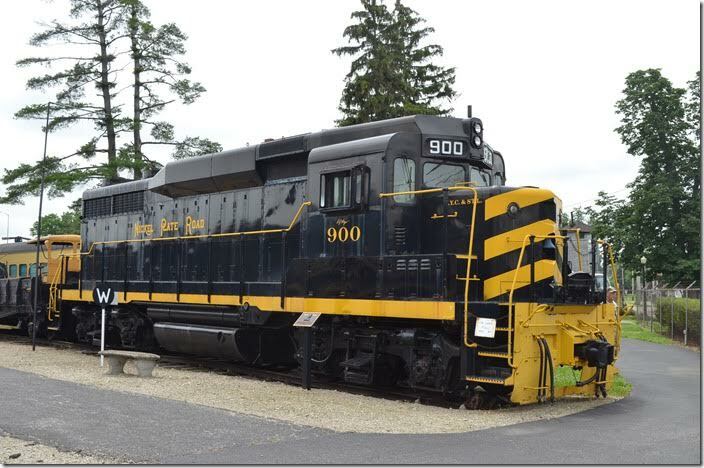 B&O S-4 9096 was used by Central Soya at their elevator in Bellevue. 18. 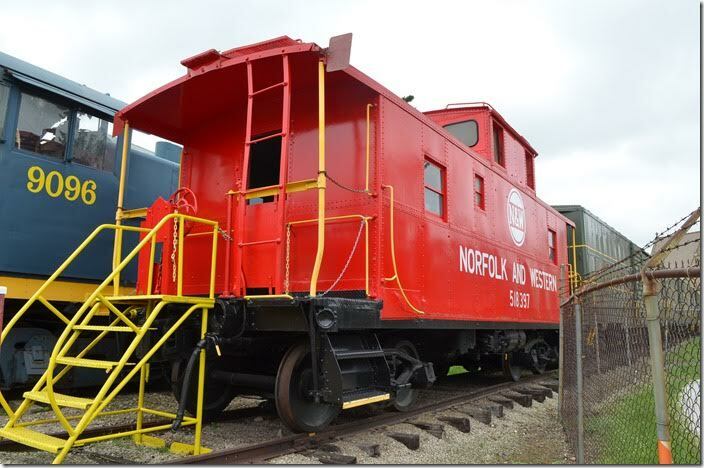 N&W caboose 518397 was built by Roanoke Shop in 1927 and in service until 1978. Bellevue. 19. 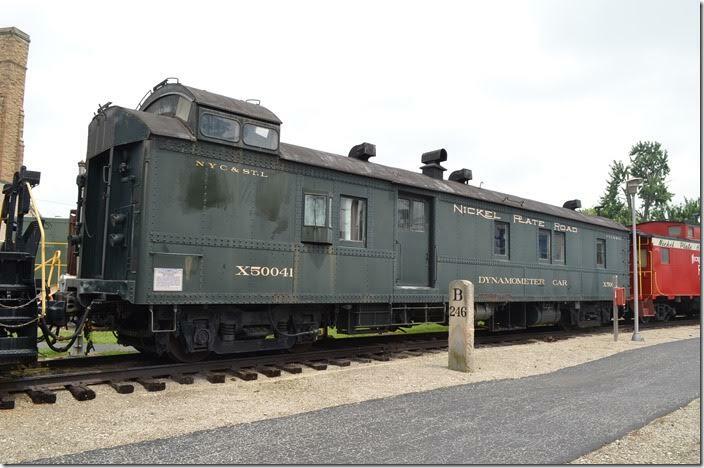 Dynamometer car X50041 was built by Standard Steel Car in 1927. Bellevue. 20. 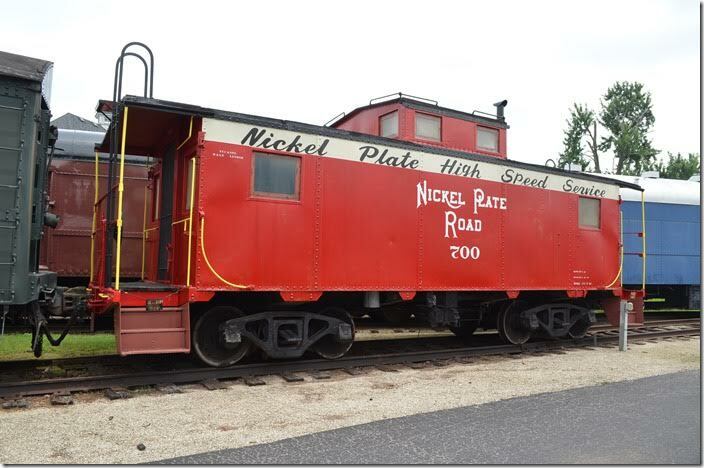 NKP caboose 700 was built by the W&LE shop at Ironville (Toledo) OH in 1948. 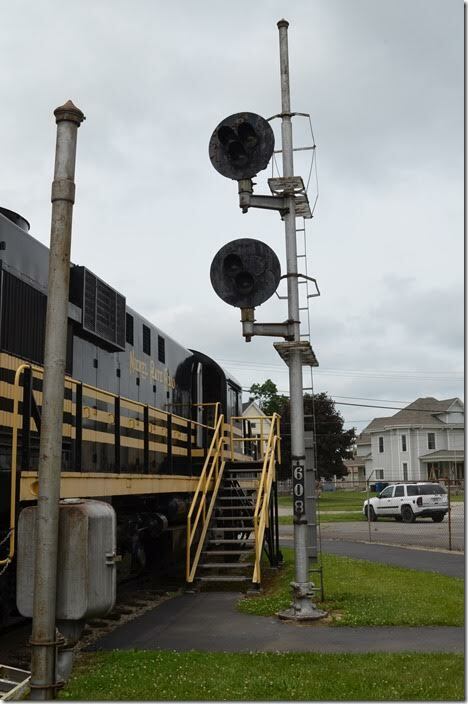 It became N&W 557700 after the merger. Bellevue. 21. 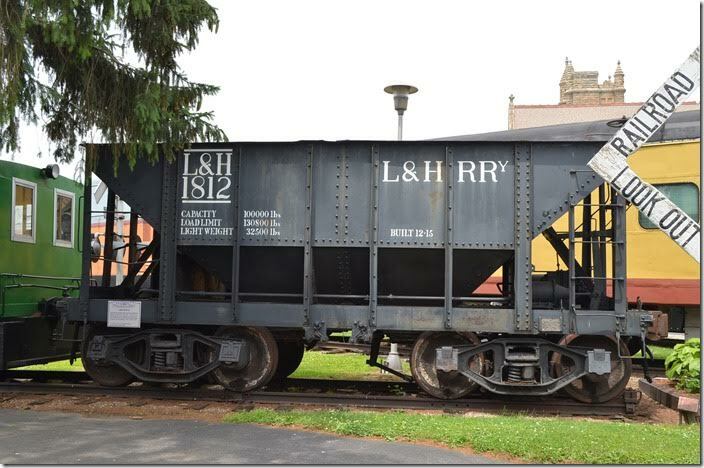 This ore hopper came from Standard Slag in Youngstown, but I’m not sure if the original owner was the Lehigh & Hudson River. L&HR hopper 1812. Bellevue. I was so absorbed by all of this neat equipment that I was among the last on the bus. 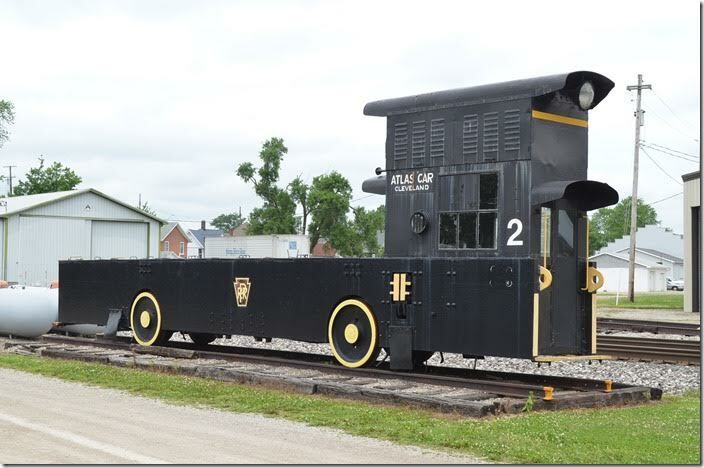 The museum has a huge collection of artifacts and photographs on display in the various converted passenger cars. 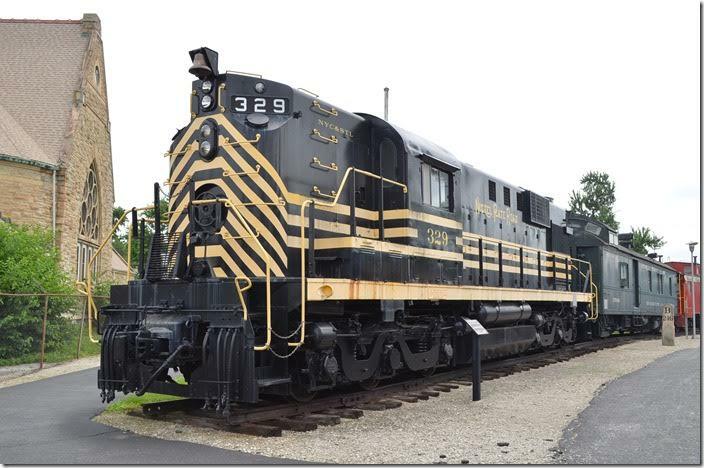 I was surprised by how many photos they had of Bessemer & Lake Erie steam locomotives. They also have a well-stocked gift shop. 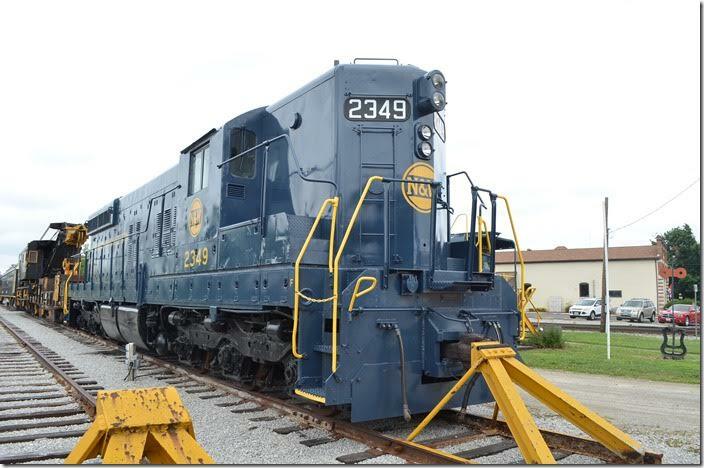 The museum’s web site gives a listing and history of their equipment. We headed back to Marion.